S100 Chain Cleaner combines optimum penetration upon spraying with perfect adhesion while working (“thrixotropic”). 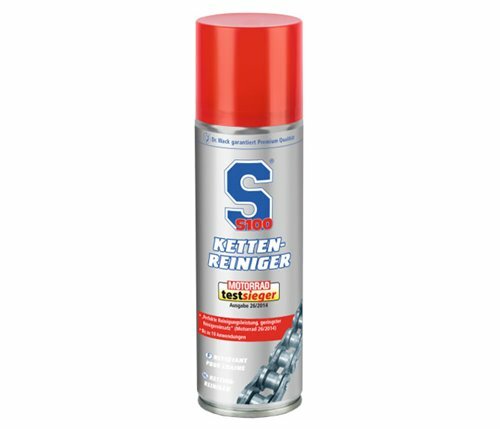 The advantages of S100 Chain Cleaner are improved smooth-running properties and greater resistance to wear. O/X/Z ring tested and compatible. Removes thrown-off chain grease from the rear wheel rim without the slightest effort. Contains special anticorrosion additives and is acid-free.